Avid Pro Tools is more than a piece of software. 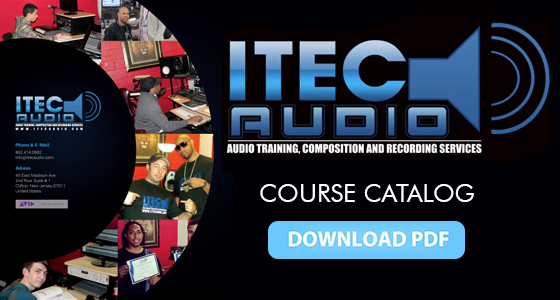 It’s the industry standard tool for recording, mixing, and mastering sound. Whether your desire is to produce music in a studio, live venue, or post sound for video and film, we teach you the skills to follow your passion! We offer individual courses and entire packages for all skill levels taught by leading industry professionals. Classes are limited to four students. This allows us to focus on more personalized training so you can get the most out of your training experience. We believe this is the best way to become an Avid Certified Professional. Avid offers three levels of certification associated with Pro Tools Training: Pro Tools User, Pro Tools Operator, and Pro Tools Expert. The 100-, 200-, and 300-level Pro Tools courses are designed to prepare candidates for each certification level. We offer group rates, and customized on-site training, For working professionals and your educational staff. Consultation and system design services are also available. As an added benefit to taking our courses, students will receive discounted software packages from Waves, Celemony, Antares, McDSP, Sonnox, IK Multimedia, and SoundToys. Special pricing is also available on gear packages. Check out our Online Store for more details.